The Audi is a brand of German automobiles, ranging from super minis to SUVs in assorted body styles and prices. The Audi is positioned as one the finest brands within the Volkswagen Group. German Car Specialists is an independent service center serving the Audi community with affordable prices and great service. 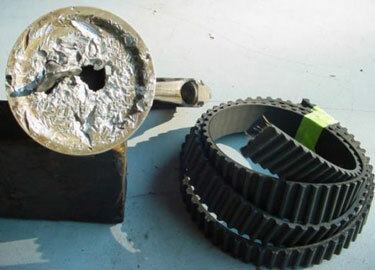 The repair of the timing belt in an Audi is monumental. 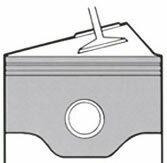 The timing belt is a synthetic rubber reinforced with tough fiber cords belt. As it ages, heat and friction causes the rubber to become hard and brittle and the internal cords it also fatigue and weaken. 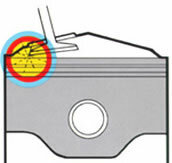 The Audi has an "interference engine" which does not provide enough clearance to prevent the pistons from smashing into the valves if the cam stops turning. The resulting damage will be extensive - possibly requiring engine replacement. 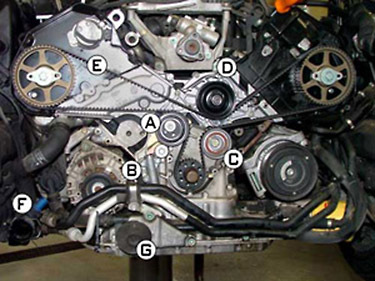 When we do a timing belt replacement/repair service we also take into consideration the other related parts including the front engine seals, water pump, thermostat, tensioner and pulleys.